Are you the ultimate football fan who lives and dies for your favorite team? Whether you’re watching the SuperBowl for bragging rights or just for the commercials, this is the ultimate way to enjoy the last game of the season. After all, would you rather be invited to a friend’s home to watch the big game, or cheer from the comfort of your own home while entertaining your guests with confidence? 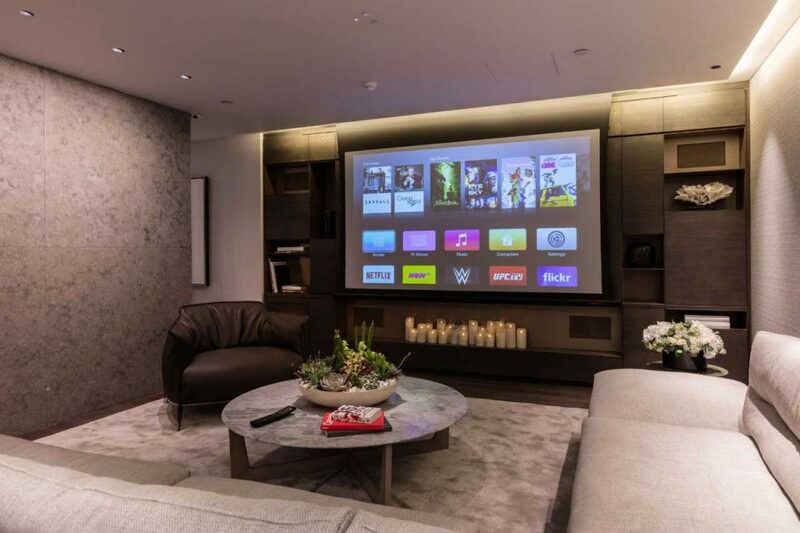 Who wouldn’t love to have a state-of-the-art theater system at home? Let Aegis do it right. Together we can put together the home entertainment of your pigskin dreams! We’ll transform your living space into a total gridiron escape. Sink into a luxurious leather recliner, cup holder occupied, with the popcorn machine on duty. One remote controls the light, sound, temperature and, of course, the game! At Aegis, we’re experienced in putting the total package together and making it easy for you to enjoy – in time for a SUPER Sunday. Call to book your consultation and planning session today.